And last but not least as the idea of parallel universes. Going back to the idea that space-time is flat, the number of possible particle configurations in multiple universes would be limited to 10^10^122 distinct possibilities, to be exact. So, with an infinite number of cosmic patches, the particle arrangements within them must repeat — infinitely many times over. This means there are infinitely many "parallel universes": cosmic patches exactly the same as ours (containing someone exactly like you), as well as patches that differ by just one particle's position, patches that differ by two particles' positions, and so on down to patches that are totally different from ours. Sure, everyone from Captain Kirk to Buffy the Vampire Slayer’s had some sort of alternate-reality deal going on at some point, but the fact is that there just might be something to the whole parallel-universe thing. 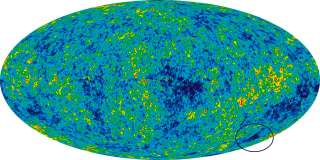 We’re going to keep it simple and start with a cosmologist named Alan Guth, who came up with the concept of “cosmic inflation,” which is the notion that for a tiny slice of time after the Big Bang, the universe’s expansion was exponential, which is to say not only fast, but holy-crap fast. Relax, you’re not going to get tested on this. Multiple universes, multiple theories. Some of them are pretty familiar by now, like the bubble multiverse imagined by Linde and Valenkin. Then, there’s the concept that every move you make spins off another in a series of branching universes, where you… wait; this is easier with an example. Say you flip a quarter. The universe branches into two realities: one where the coin comes up heads and one where it lands tails. Now imagine that happening for every decision you make. Pretty soon, you have an epic tree of branching parallel universes. One of the strangest theories tosses a slew of new dimensions into the mix. No, really; we’re not going to go too hard into this, but M-theory (which, if you must know, is the theory that unifies five superstring theories. Again, you won't be tested on this) calls for a universe of 11 dimensions. And things just get weirder from there.